And so at the beginning of each New Year, we make resolutions. We resolve to stop doing one thing, and start doing another. Drop bad habits, pick up better ones. To finally DO something about everything that’s wrong with our lives. To fix this mess. Re-solve. To solve again…to solve over. It is as if we already know how to solve all our problems and have determined to do exactly that. We just have to do it again. Only this time, we’re in earnest. Are our resolutions nothing more than the self-delusion that we are finally, somehow taking control of our lives? Or is it the best illustration of humankind’s unique genius for continual reinvention? 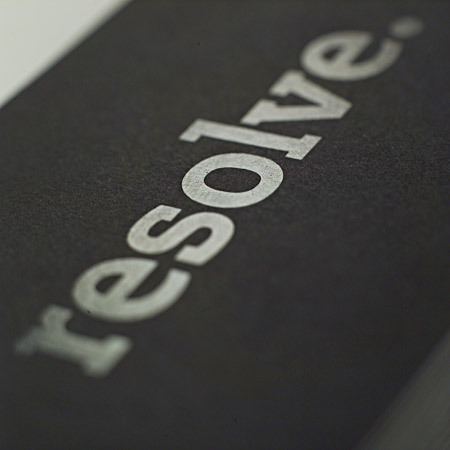 In music, the term “resolve” means to move from a dissonant note to a consonant, or more pleasing one. Tension and release. Resolution. It’s certainly an idea that resonates with us: The notion that we can somehow move beyond the dissonance in our lives to a more peaceful existence. I like to use the word "goals" instead of "resolution". It makes me feel as though things are more attainable. I was wondering where you went. Glad I found you again. I resolve not to lose you again.